The gentle gypsy gestures for me to stand beside her. I move over yet keep my distance, still feeling my uncertainty. I offer a loose smile, my thoughts wandering to wondering what on earth I’m doing here. I bring myself back, embarrassed. With the end of the wand firmly in my grasp I sweep the tip of it through the dirt to make an impressive arc. It feels good. Empowering. I sigh and smile. Erzebet smiles back and shares more. I nod my head again. She hasn’t finished. I nod my head in understanding, sort of. Even though I have spent a life time with horses this is all so new; so unfamiliar. Still, I am here, drawn into this moment by something I know not. When the student is ready the teacher will appear, comes to mind. Something my mother used to say. Regardless, somehow I am unworried. It feels right. And besides, I don’t want to leave. Turn off my tornado thoughts? Wow! There’s a notion. Still, I nod my head, and sigh. “Yes.” The word comes out choked. “Yes.” I repeat more firmly. 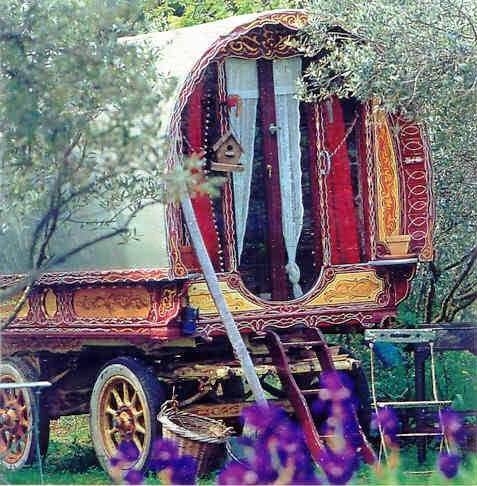 The beautiful gypsy ushers me into the Sacred Circle of Hidden Wisdom and, taking a deep breath, I walk alone to the heart of it. Chiron stands at the far edge, quiet and attentive. For a moment I close my eyes; take a deep cleansing breath remembering the odd pressure in my jaw. Finally, I place the wand on the ground beside me and wait. After several minutes Chiron has still made no attempt to acknowledge my presence. I feel sad. Still, I continue to breathe into what I believe to be a heart connection and without speaking make a misguided attempt to convey my heart’s desire by some weird sense of osmosis ~ as if Chiron should be able to read my mind. Erzebet hovers quietly in the background, observing. Chiron ignores me and ambles over to the spot where I entered the Circle. He paws at the ground, the sound of crackling twigs and sticks and leaves shredding the air. I don’t understand. Not knowing what else to do, I walk over to him and stop a few feet away. His pawing stops but beyond that he doesn’t acknowledge my presence. The judge in me brings down the hammer of disappointment. Confused, I start to walk around the Circle away from Chiron, hoping he’ll follow. I clutch at my lucky labradorite pendant, an intuitive stone, hanging on a white gold chain around my neck and wonder what the heck I’m doing. When my walk around the Sacred Circle is complete I return to its heart and wait, wishing, hoping for something, some sign of acknowledgment from Chiron. But he has not moved. I feel numb; a verdict of failure delivered by that inner, unwelcome judge. Dejected, I collect the wand from the ground and walk over to Chiron again. When I reach out a hand to touch his silken mane he walks away. I thank him anyway and leave the Sacred Circle with a singular feeling of unworthiness. A nearby fallen tree trunk invites me to sit. Erzebet takes a seat beside me. “When you are ready, tell me of your experience,” she says plainly. For a moment I have no words. That lump in my throat is back, my jaw tighter than ever. The beautiful gypsy waits patiently for a few moments and then asks a question. I sigh. I don’t know. I nod my head, acutely aware of the fact that even now I am afraid to share how I feel and what I am thinking. I smile weakly and manage a “Yes …” and, with a deep breath, draw myself up from the tree trunk and walk once again to the edge of the Sacred Circle. I retrieve it from the ground where I’m standing and wave it at her. “Chiron …” His name comes out garbled. I clear my throat, say it again and continue, “Chiron … you are such a beautiful boy … It is such an honour to stand in this Circle with you today.” He begins to chew. There is movement in the noble one. From his position by the entrance where he has been standing so quietly licking and chewing affirmations of peace, he turns to face me, as if to acknowledge some kind of understanding. My heart leaps. Has it been heard? He starts lumbering calmly toward me. The sobs of my soul begin to rise from deep within until I can contain them no longer. I double over in the most exquisite emotional pain as the tension of my self-enforced silence is finally released. Chiron stands still beside me, his head lowered, his body relaxed, as if to honour this moment with me. His quiet manner soon calms me. A profound feeling of peace fills me. Somehow in this quiet place, in these quiet but intense moments, something has changed. I seek his permission to stroke his neck. He stands quietly, waiting. Gently I run my hand along the smooth white hair that runs almost the full length of his muscled neck before it turns dark at his shoulder. It is soft and warm, glistening in the last light of the day’s dying sun. We stand like this for a couple of minutes, basking in an open exchange of heart and soul and then, as if to signal his work is done, Chiron walks away quietly, leaving me to stand alone and strong in this healed emotional space we have created together. In awe of the gentle power of this moment, I turn to thank him as he rests once again at the edge of the Sacred Circle. I leave feeling lighter and somehow more present. My tears dried. The pressure in my jaw gone. My lost voice found; my heart heard. Erzebet joins me at the tree trunk and we sit quietly for a moment. “You are okay?” she asks. “I feel marvellous,” I answer. The final instalment of Lost and Found ~ my response to a free writing exercise prompted by Kellie Elmore’s Free Write Friday two weeks ago. If you’re interested in reading the first two parts, click on the links below. Your comments are welcome. This last part became a bit of a marathon. Lovely, well done! I really enjoyed this, all three parts. You’ve got the gift girl. Use it. Glad to help. It was a really great start and it needed to be finished. Sometimes the short prompts are okay by themselves, this one needed more. There’s enough there to take it even further if you wanted to.